Hobbs Primary Care Sondra Hutson, CFNP – has recently joined the Kymera family of providers serving patients in our Hobbs office. Sondra obtained her Bachelor of Science in Nursing at the University of Phoenix in Santa Teresa New Mexico in 1999. She then continued her education at Texas Tech University – Health Science Center in Lubbock, Texas obtaining her Master of Science in Nursing and Family Practitioner degree in 2002. Sondra obtained her National Certification for FNP in 2003. Sondra also obtained her orthopedic certification in 2013. 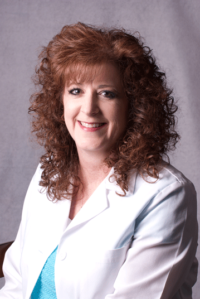 Sondra brings a wealth of knowledge and experience to our Hobbs clinic. She has been an instructor in the “Welfare to Work” program, instructing the Certified Nursing Assistant classes, and then as Professor for the Nursing Program from 2001 to 2007 at New Mexico Junior College in Hobbs. Sondra began taking care of the healthcare needs in her community in 2007 when she joined a medical group caring for orthopedic patients, in 2012 she transferred to primary care for the same organization, where she took care of patients health care needs such as hypertension, thyroid issues, diabetes, and asthma. She expanded her care while still seeing orthopedic patients. In 2012 she started seeing patients in an urgent care setting, treating patients with work injuries while continuing her primary care practice. Sondra enjoys traveling and spending time with her family.